Especially during the January whirlwind of meetings, it’s easy to say that you’ve been meeting with investors and building your network. I’ve found that it’s more useful to ask not if you’ve had meetings or even how many, but if you’ve been meeting with the right people. It’s important to find out in advance of an event whether there are investors attending who are a fit for your company and your technology. Some of the major January events are well known for focusing on later stage, publicly traded companies, so early stage companies often have to do more legwork to find the right investors to book meetings with. This might involve booking meetings in locations away from events or arranging to meet at a smaller event or reception. January is a good time to get exposure to the full scope of the life science investor world. Investors gather from all over the world to join the annual San Francisco biotech circus, and they all bring their own unique mandate and life science investment insights with them. Unfortunately, not all the entrepreneurs I spoke to were open-minded about investors. I met one medical technology entrepreneur who had been trying to book meetings with family offices. 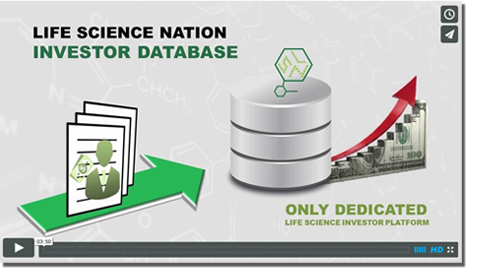 At LSN, we work with many family offices that invest in the life sciences, but they’re only one among the many investor categories to which we reach out. I suggested that the entrepreneur contact a particular corporate VC that specializes in his type of technology and have since heard that he’s entered a dialogue with them. There’s a great temptation to put on an upbeat facade about the meetings and events that occur in January. Even if you’ve met with many investors who seemed very interested in your company, you have to consider that they also met with many other exciting entrepreneurs as well! It’s a bad idea to count your chickens when it comes to seeking investment. Investors generally see far, far more good quality life science assets than they’re able to fund, and even if you’re progressing through their deal process, you can’t assume you’ll get the allocation. It’s important to keep pursuing as many leads as possible until the check hits your bank.